The New York State DECA 59th Annual State Career Conference was held at the Rochester Riverside Convention Center on March 5 - 8, 2019. There were over 3,000 students, representing most of the 62 counties of NYS, who competed at the competition. The competitions were either individual or team events consisting of a myriad of business topics. Twenty-nine HSW students participated in this challenge. The HSW students earned one first place position, one fifth place position, 17 Top 10 medals, and 6 medals for the DECA Honor Society. The students who place first and fifth are eligible to represent NYS DECA at the International Career Development Conference (ICDC) in Orlando, Florida on April 27 - May 1, 2019. Thirty-four HSE students participated in this challenge. The HSE team had 10 International Competition Qualifiers and 10 Top 10 Medal Winners. All International Qualifiers will compete at ICDC in April versus students from around the world. Congratulations to our HS East and HS West students who placed at the DECA Suffolk County Regional Competition hosted at Suffolk Community College in Selden on January 3, 2019. 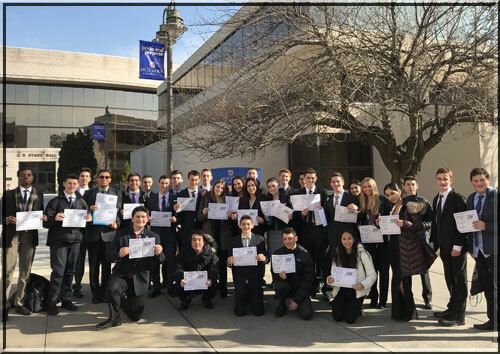 HS East had 40 students place and HS West had 37 students place and an additional 9 HS West students earned honorable mention after competing in a variety of business categories against approximately 1600 students from 26 Suffolk County high schools. The New York State DECA 58th Annual State Career Conference was held at eh Rochester Riverside Convention Center on March 7-9, 2018. There were over 3,000 students, representing most of the 62 counties of New York State, who competed at the competition. The competitions were either individual or team events consisting of a myriad of business topics. HS West had 2 top five winners and 13 top 10 winners. HS East had 6 top 5 winners and 27 top 10 winners. All top 5 winners qualify for the International Competition in Atlanta, Georgia. 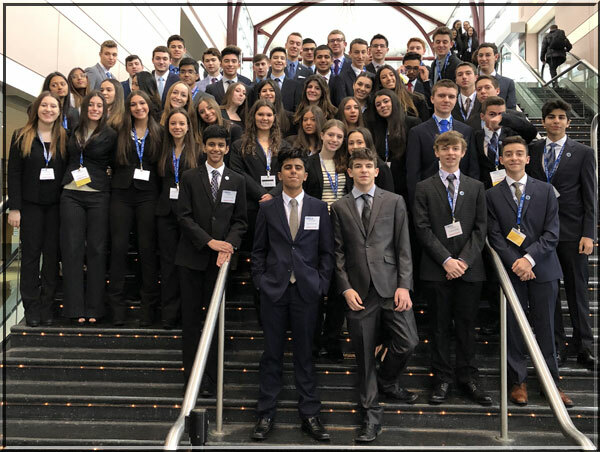 Every year New York State DECA holds their annual Suffolk County Regional Competition, where business students from high schools across Suffolk County compete in a variety of business categories. The students competed against over 1,600 students from 26 Suffolk County High Schools. The Hills East and West DECA teams have always done well in the annual tournament, and this year was no exception. High School East had 50 Suffolk County regional winners. HS West had 41 regional winners and 18 honorable mention. All winners are eligible to move on to the New York State DECA Competition.